Following the completion of the Feasibility Study in 2005, this project was delayed due to a lack of funds, until when in 2010, the MAWF instructed LCE, in association with Kuchling Consulting Engineers, to update the Feasibility Study and complete the detailed design and tender procedures. This project entailed the rehabilitation of boreholes, the construction of three solar powered borehole installations, the construction of two solar powered booster pump stations, the construction of some 35 km of pipelines up to pressure class 12 (120 m), the construction of 5 ground level reservoirs (three of 128 m3 and two of 72 m3 capacity) and the construction of cattle troughs, tap stands and water meter manifolds for the communities to be served with water. Construction commenced at the end of 2011 and was completed in 2013, for which LCE, in association with KCE, conducted the contract administration and construction supervision. 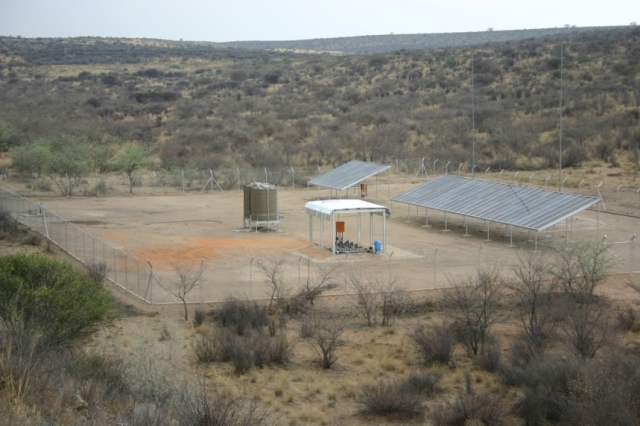 Initiated by the Luxembourg Agency for Development Cooperation, Lux-Development, in conjunction with the Ministry of Agriculture, Water and Forestry (MAWF), this project’s aim was to investigate the possibility of supplying a dry area in the Eiseb Block, which is situated in the Otjombinde Constituency in the western part of the Omaheke Region of Namibia, with water from six existing boreholes. The purpose of the expanded water supply system is to open up areas of virgin rangeland for resettlement. The results of the earlier pumping tests conducted on the existing boreholes were evaluated and the water demands of the present and possible future population and stock numbers were determined. In liaison with the Gobabis Rural Water Supply Office, possible resettlement locations were identified and inspected during a field visit. Two basic design alternatives were proposed and evaluated: Solar powered vs diesel powered borehole installations, with the corresponding booster stations and storage reservoirs, as required. The life cycle costs of the various alternative pipeline networks and borehole installations were determined, and the favoured alternative, using solar powered borehole installations, was selected on the basis of lowest present worth costs. Various recommendations for the detailed design and implementation phases of the project were made, and the project was summarised in a Pre-Feasibility Study Report, which was submitted to the Client in January 2005.